Vitamin D has been known to play a vital role in bone health, but more recently it has been reported to increase the quality of skeletal muscle mass. This could have a very important role for adults as they age. Vitamin D is a nutrient that can be attained in several ways and supports physiologic functions including absorption of minerals such as zinc and calcium. Nature provides your body with Vitamin D from two main sources: food and sunlight. 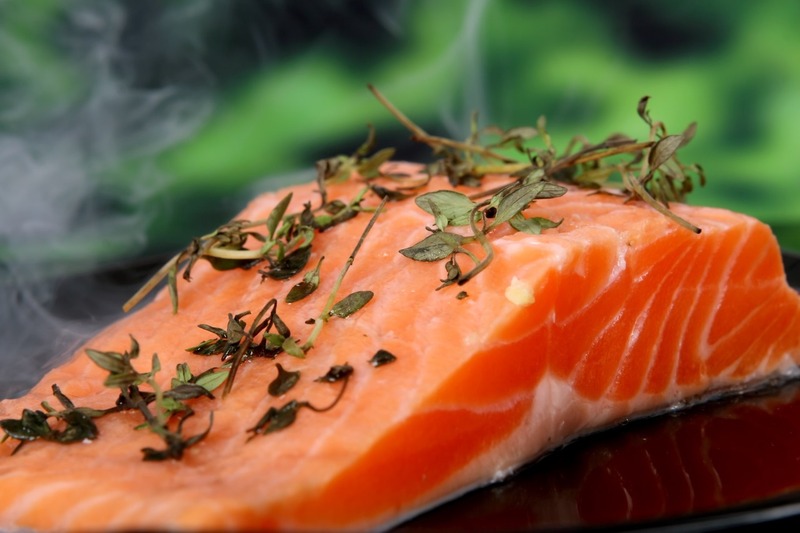 Except for fatty fish, most foods in a regular diet provide a moderately small amount of Vitamin D. Examples of natural food sources of Vitamin D include: Salmon, Swordfish, Egg Yolks and fortified foods including milk, orange juice, and yogurts. The other natural source for Vitamin D is sunlight. When skin is exposed to sunlight, it naturally produces Vitamin D through a series of chemical reactions. One should note that the time of day, cloud cover, skin melanin, and sunscreen can all affect how much Vitamin D you get from sun exposure, so it’s not always a dependable source. Aside from nature and food sources, the other common source of Vitamin D is dietary supplements. Dietary supplements are not regulated by the Food and Drug Administration, so when purchasing Vitamin D, look for brands that have been certified by an independent company to verify they contain the listed amount of Vitamin D.
Two different forms of Vitamin D are sold: vitamin D2, and vitamin D3. Without getting into the complicated chemistry of these two forms, it’s important to know that vitamin D2 may have lower potency. So, if you are choosing to supplement, you may want to choose D3. When vitamin D first reaches your body from all three sources – food, sunlight, and supplements, it is known as a pro-hormone. This means that to have any effect on your health, it must go through your liver and kidney first to be converted to the active form that circulates in your blood. Having optimal levels of Vitamin D in your bloodstream is pivotal because skeletal muscle mass tends to deteriorate as we age, mainly because of decreased activity. It’s basically an example of the phrase “use it or lose it.” Decreasing function on tasks requiring strength and coordination goes hand in hand with loss of muscle mass. This loss of muscle mass is known as sarcopenia. Sarcopenia must be countered, since it has a negative effect on the ability to perform activities that allow you to live independently. Things like proper nutrition, exercise, and as we’ll see, vitamin D supplementation can prevent a loss of strength and muscle mass. Studies have found that supplementing with 4,000 IU per day increased muscle fiber size after just 4 months, even without resistance training. Not only that, but the most considerable gains were made in type II muscle fibers. These are the muscle fibers responsible for short spurts of movement like getting out of a chair or lifting something over your head. The importance of doing resistance training to support healthy aging is vital. Resistance training is important in staying active and preserving muscle mass. In addition to your workouts at the gym, consider adding a daily dose of vitamin D to support muscle recovery and repair. The result could be faster adaption and better chances of gaining muscle mass. So, how much does one need to take? The national guidelines say adults should aim to consume 600 – 800 IU per day. Vitamin D occurs naturally in foods, so supplements are never a substitute for a healthy and diverse diet. Many of the studies that show a benefit from supplementation are around 800 IU per day, but the dosages do vary. Since different groups of people may need more Vitamin D than their daily lives provide, regularly monitoring Vitamin D levels is always important to maintain a healthy lifestyle.